When we look at a project like material reclaim in a plant we consider the requirement then assemble the best technologies the we can find. We then look at the gaps and holes in the process and we design the components that integrate it into a working system. McCoy will provide product from various vendors that we consider the best and develop a system that becomes a ‘solution’. Recently we have built a reclaim system that solves a number of very typical plant day to day issues. When we specified the mixers they were built with high pressure wash cleaning. We added an extra door on each mixer to use exclusively for wash water. 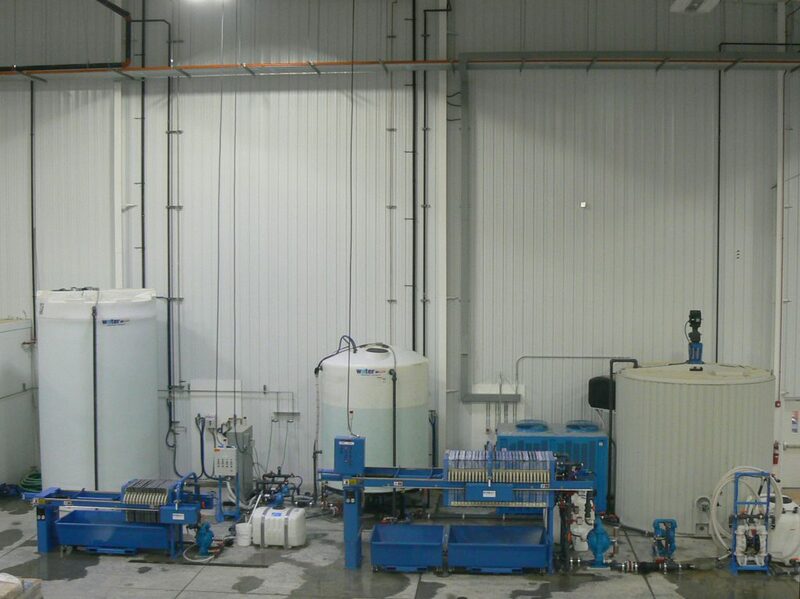 The plant also has travelling buckets with their own automatic wash station which was built by McCoy. The wash station can also accept a rejected batch and blend it with water. 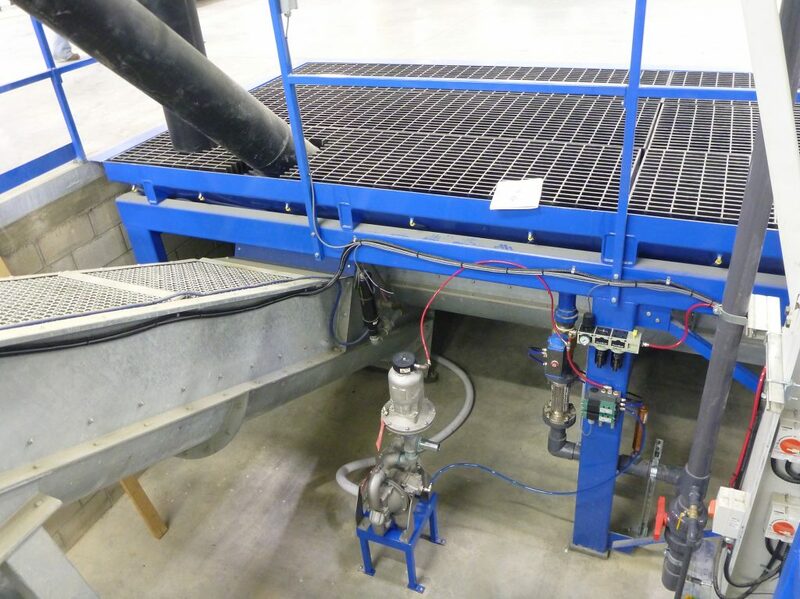 The wash waters and the reject concrete are all fed into a standard Wam Concep 5000 reclaim system typically used for ready mix. 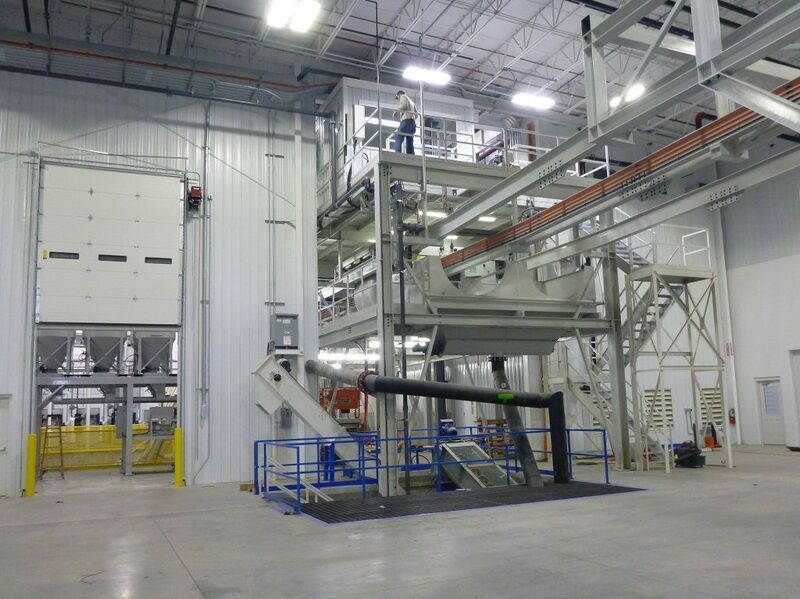 McCoy added a structural hopper and grating above that Wam Concep to create a wash station for all the production tooling in the plant. 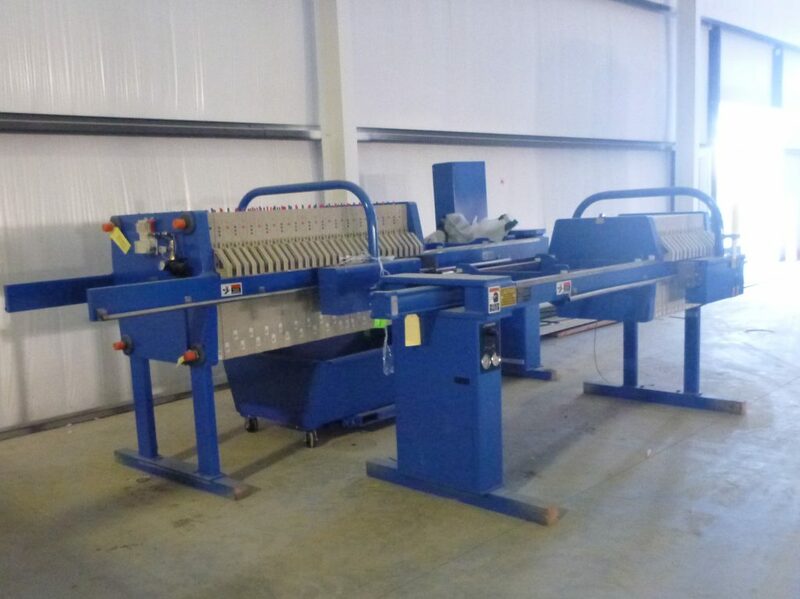 The Wam Concep separates the coarse materials and dispenses them for reuse or disposal. The fines and water and pigments are pumped to an insulated grey water tank created by McCoy. It has an agitator to prevent settlement and cooling supplied by American Geothermal. The cooling reduces the grey water temperature to inhibit hydration. This water is pumped into a system supplied by Water Treatment Solutions which filters out the fines, uses CO2 to adjust ph, refilters out the salts and leaves us with clear water to reuse for the next wash requirement. We are very proud of the result and our collaboration with our partners on this project. New, ultra modern facility with a strong emphasis on cleanliness and a high regard for the well being of the staff. All fines including cements and pigments are filter pressed to under 7% moisture for disposal.